Za.Be. was founded in 1964, with the idea to launch on the market the good traditional Italian recipes of canned food, prepared with all the care and passion of the handcraft creations of once ago. It is so that a large selection of sauces, pickled and brined of the artisan tradition land in the industrial reality, becoming immediately a great success. Thanks also to the lucky commercial intuitions, the following period is of strong economic expansion, during which the firm succeeds to establish itself on the markets, with a special vocation towards foreign countries. During year 2015, in order to maintain the high quality – since always associated to the trademark Za.Be. – and in the meantime the competitiveness of the prices, the management decides to move in outsourcing the production of their own recipes, using their long experience as a producer to choose the best suppliers for each line of the catalogue, and to present to the customers an incomparable offer regards to both quality and extent of the selection. Thanks to the solid experience acquired in these decades and to the great passion for our job, Za.Be. has become a dynamic and lively reality, where the ancient tastes of tradition meet the new recipes of the modernity, in order to satisfy the most demanding tastes who still keep on choosing our products through-out the whole Europe and the World. Za.Be.’s task in today’s market, in which offer is enormous and it has become even more difficult to distinguish high quality products from poor imitations, is to offer a selection of the best food preserves, manufactured by the best producers. We aim to act for our clients as the principal reference on the market, in order to recommend them the best for their research of the product, offering a whole range of services focused to their complete satisfaction. 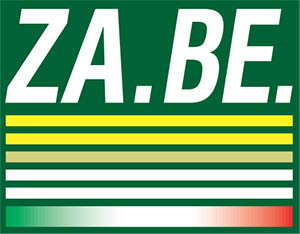 From the production to the labeling, from logistics to the documents, Za.Be. takes care of everything, so that all you need to do is to open the jar and enjoy the taste of decades of traditional cuisine, which reaches the client through an express, modern and efficient service. This is what means, for us, to have “The taste for semplicity”. Za.Be. is a small reality, but perfectly capable to confront the demands of the modern market. From small handcraft production to full loads, from retail to food service, with our own brand or private label, a dynamic and flexible business structure allows us to meet all the requests that we receive. Za.Be.’s products are present in many countries, both whether the importer chooses the guarantee of our mark, or whether he submits us for the development of his private label. Our major European partners are active in Germany, Norway, Lithuania, Netherlands and Poland, while other collaborations, smaller but equally precious and evaluated, are in progress both inside and outside the European Union. The majority of our clients are distributors, who often sell to retail chains and large-scale supermarket companies, but we put the same passion and interest when dealing with hotels, restaurants and small local shops, that are searching for a high quality product. Here in Za.Be. we love our job, and we pay particular attention to all our client’s needs! We are firmly convinced that, in today’s market, the services offered in support of the product are worth as much as the product itself. We firmly believe that the client’s satisfaction does not only consist of receiving the correct product at the correct price, but also to find in the supplier a valid partner, able to take care of every requests, and to make easy whatever appears to be difficult. Our warehouse, with a surface of 1500sqm, is a major benefit for our company. We are able to store big amounts of goods without any problem, both for us and our clients: if necessary, in fact, we offer the possibility to organize the consolidation of the goods to be loaded on the container on our premises, acting as a logistic hub for the imports. Finally, here at Za.Be. we believe in the importance of respect for the environment: our solar panels guarantee us a constant flow of clean energy, which almost succeeds to cover all our requirement. We have chosen to introduce an organic line to satisfy the needs of the consumers, that have changed their relationship to food and want to put on their table natural and wholesome products. The methods of organic farming exclude the presence of any synthetic chemical and of genetically modified organisms, safeguarding the health of people and representing the best option in order to respect and protect our planet, its life forms and biodiversity. We believe that investing in the organic will be a way to sustain the new generation; it will help to protect our planet’s resources like water, preserving and improving the earth.